TaxAct 1065 State Editions fully integrate with TaxAct 1065 Federal Editions. Clients' federal data automatically transfers and calculates. Answer a few state-specific questions, run Alerts and finish state returns in minutes. Starting in tax year 2015, TaxAct Professional will offer software for all 1065 states. 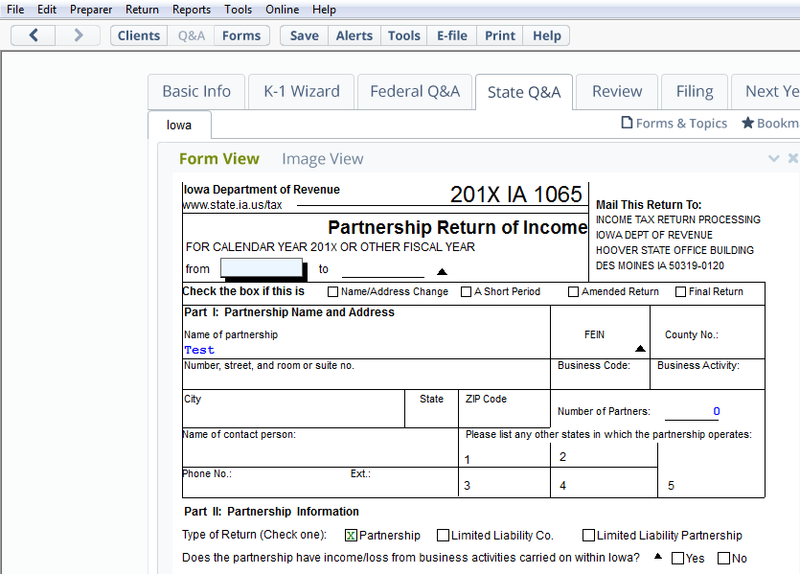 Easily add the forms, schedules & worksheets you need to prepare & file your clients' returns. If you don't have a State Edition installed, your TaxAct Federal Edition will launch your web browser to the taxact.com web site. Place your credit card order & immediately download the State software. Electronic filing is available for every state that offers e-filing. E-file fees do not apply to New York state returns. If you're not completely satisfied with your TaxAct Professional software, simply return it within 30 days of receipt for a full refund. No questions asked. Letters provide your clients with instructions and other information they need to complete or file their return. If you're charging on a "per form" basis, fill in the amounts you will be charging for each form, and the information will transfer to the invoices of all new and imported returns. State Editions are released in January as state forms become available. See the Product Release List for more specific dates. Need to prepare returns for several states and want to save money? Purchase TaxAct All-States to get all the states you need!